Strauss-ed by school and looking for a Mahler-vous CCA to join? 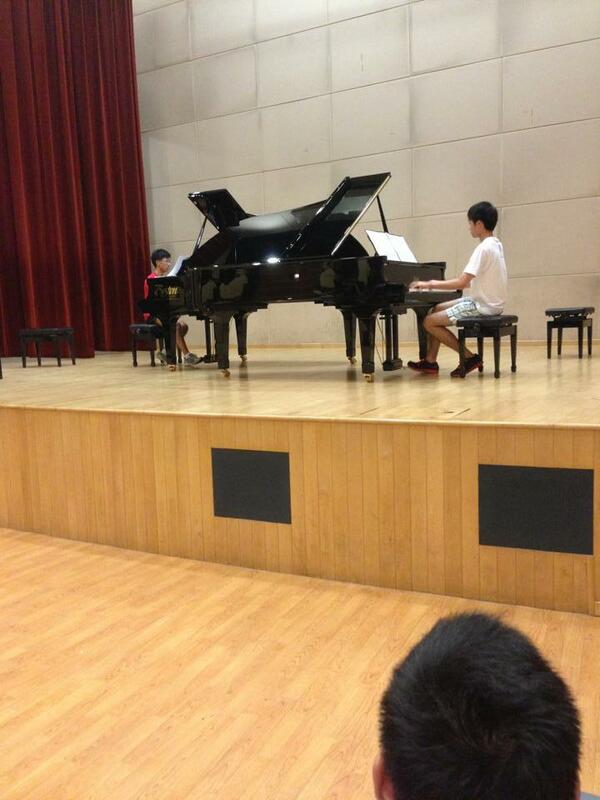 Look no further than Piano Ensemble! If you think you can’t Handel these lame puns, the image of 25 pianos playing simultaneously during a concert, or the thought of having many others around you gushing about their latest favourite Italian musical term, you couldn’t be more wrong about Piano Ensemble and what it’s about! We’re certainly not the classically-trained, Juilliard-aiming pianists you have in mind: instead, we’re just a group of like-minded people who are more than willing to share our love of music with anyone who’ll care to listen. While it may be nigh impossible for us to prepare a 25-hand masterpiece on stage, we’re definitely not constrained to just solo playing! In their two years here, members get the chance to play in not only duets and trios, but also quartets with a grand total of eight hands. Rather than focusing merely on technical standards and being able to master classical pieces, we also place great emphasis on musicianship and aim to expose ourselves to multiple genres of music, ranging from pop to modern interpretations of classical works. After all, the beauty of music lies in expression through rhythms and melodies. On this note, we hope to find members who are passionate in creating quality music, willing to take their piano prowess to the next level, and are open to new experiences! To expose our members to different performing experiences, opportunities are abound. 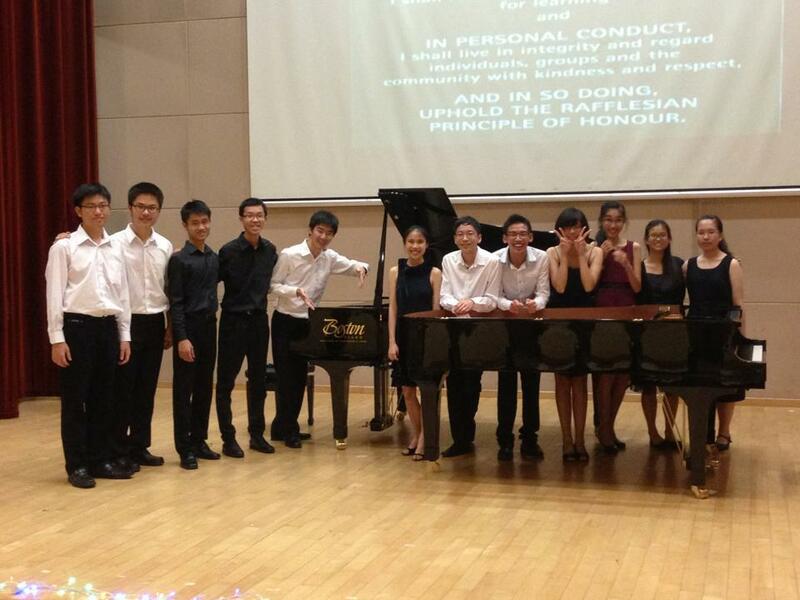 Just recently, we participated in a recital at the Esplanade Library. We also hold an annual concert in April, which boasts an impressive range of innovative themes. These include “for Euridyce” (2005), “Child’s Play” (2009), “Legende” (2012), and “Carnival” (2014). 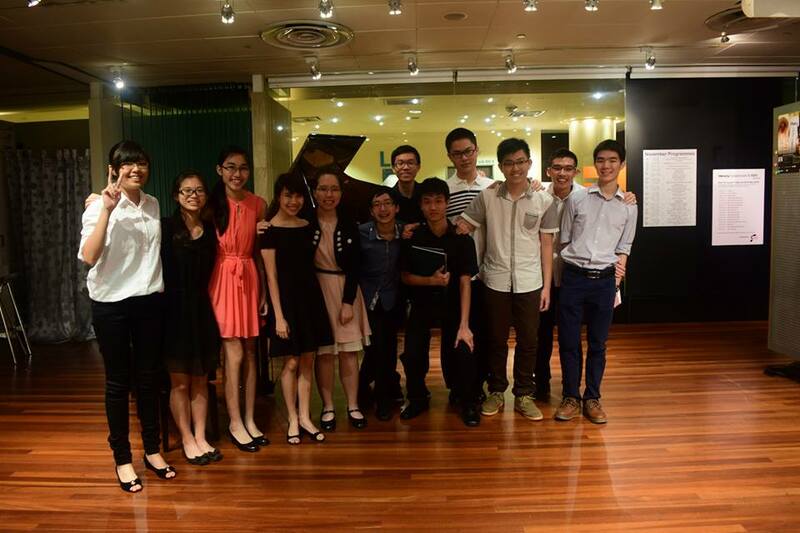 Since 2005, our members have also been consistently clinching the gold award in Vivace, the pianistic equivalent of the SYF. In the area of community service, we have collaborated with YouTube anime pop pianist Kyle Landry and video games music songstress Lara de Wit in our “Anime Music Night” and “Movie Music Night” last April to present the students and the public with two nights of fun-filled and enjoyable music. 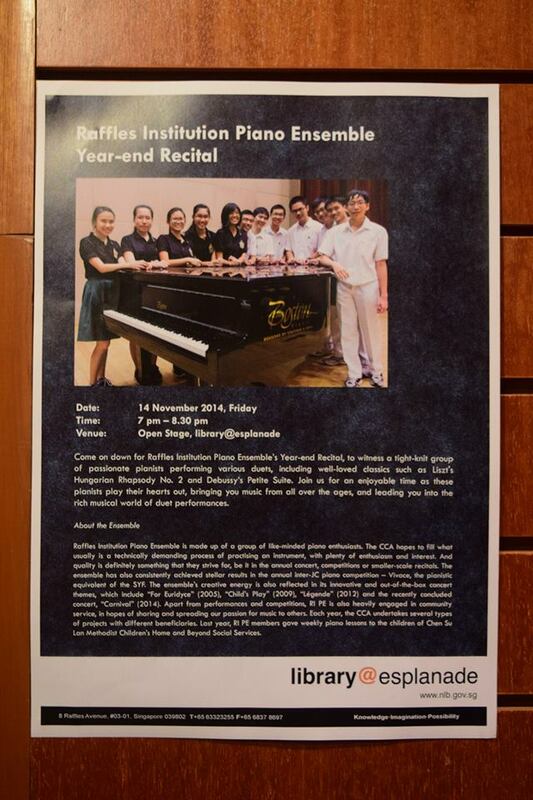 This year, we are providing music lessons to low-income children who live in the Tanjong Pagar-Tiong Bahru Constituency. CCA sessions are every Tuesday from 3.30pm to 5.30pm – be prepared for not just the usual coaching sessions and general meetings, but also fun and laughter with the occasional spontaneous piano jamming session! You will be part of not just an ensemble, but also a close-knit community of friends who share the same passions and interests.